FCB West is the new creative lead agency for Ghirardelli Chocolate Co., taking over from Interpublic Group sibling Lowe Campbell Ewald, which handled the account since 2006. The assignment shifted after a review in which other finalists included Grey, Cutwater and Butler, Shine, Stern & Partners, according to sources. Lowe Campbell Ewald did not defend. Media spending on the brand exceeded $25 million last year, according to Nielsen. A new campaign from FCB is expected to launch next year. Executives at Ghirardelli said they were impressed by FCB’s track record in the consumer products category for clients like Del Monte and Kikkoman. 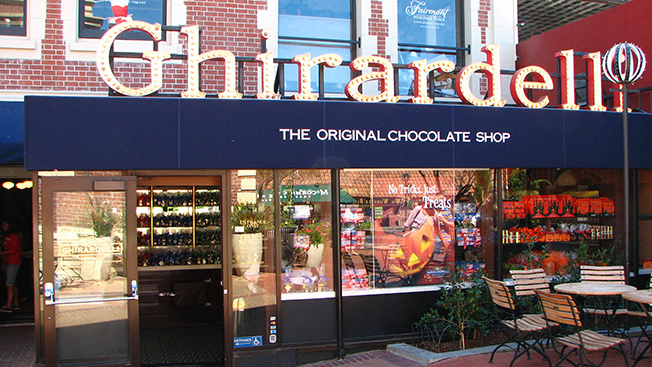 Ghirardelli is based in San Leandro, Calif.
“After a review that began with more than a dozen agencies, it became abundantly clear that FCB had a keen understanding of where we are in our brand evolution and where we want to go,” Vicki Isip, Ghirardelli’s vice president of marketing, said in a statement. Media and digital responsibilties on the brand, currently at WPP Group's MediaCom media network and Interpublic’s UM, respectively, were not impacted by the change. FCB West has recently added accounts like Levi Strauss & Co., in partnership with independent network The House Worldwide, and real estate search site Trulia.